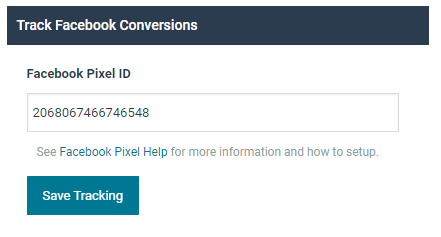 Track all of your customer page views and purchase events on your Rezdy online booking page by adding a your Facebook Pixel ID directly into Rezdy. You can now quickly see the remaining availability of a specific session in every Supplier order notification email you receive. We know how frustrating it can be trying to quickly find an order number, so we've added the Order Number directly to order details bar at top of every order. You can now quickly edit introductory text on your Agent email notifications for manually created internal orders. Go to Agent Order > Email > Agent order notification > More options to add your text. The formatting of Agent invoices has been improved for both emailed and printed versions. Calendar notes can now be edited. Logs of who added and edited notes can be found within the Action Logs page. A new searchable "Agent Reference" field has been added to Internal orders, Reports, Manifest, Invoices, etc.) This field allows you to collect and display the Agent order number that was previously populated in "Agent notes". Support has been added for two new payment gateways For customers in Cambodia, Rezdy now supports ABA Bank's payment gateway, while in New Zealand customers can accept online payment with Payment Express PxPay 2.0. Fixed an issue for some Suppliers where booking fields were being deleted after updating a product. Fixed an issue in the booking form calendar where the last session time may be displayed instead of the first session time. Fixed an issue where calendar sessions were not showing the correct overridden price in the order. Fixed an issue where some customers using the Rezdy app on iOS may experience freezing when accessing the internal order page. Fixed an issue where simultaneous updates to an order and payment requests may result in payments being removed from the order. Fixed an issue with Xero invoices showing an incorrect amount for extras on for multi-day duration products. Fixed an issue where the customers T&C were not showing correctly on a mobile device for some guests. Fixed an issue where a price override is showing an incorrect "Due Now" amount on the payment request screen of the checkout. Fixed a display issue with the mobile gallery view. Fixed an issue where a customer may not receive an email notification of a new order being created. Added "Created on DD/MM/YYYY" data to email templates. Fixed an issue with order notification emails showing T&Cs multiple times for the same product.